The first time we did a workshop using the spatial sketching application at the Fraunhofer Institute was in beginning of 2009. Christian was the first year teaching at the University of the Arts and by this able to conduct a short termed course on a topic he could freely choose.Due to the enormous rush on the course, Christian had to do it twice. 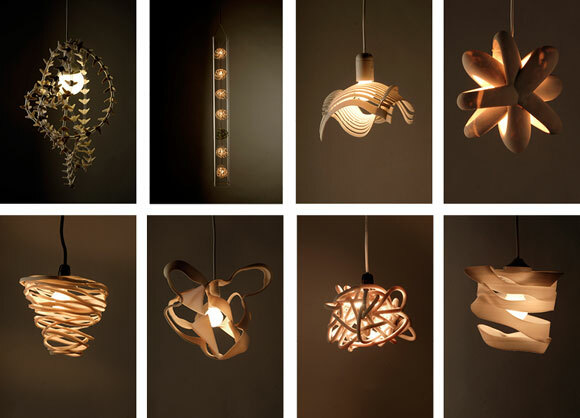 The aim of the workshop was to draw a lampshade virtually and spatial around an also virtually hanging light bulb hanging from the CAVEs ceiling. 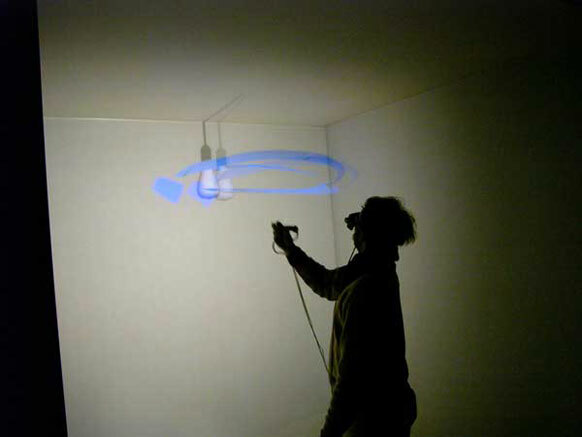 By this it was possible to explore the qualities and constraints of virtual content and physical controls. The interaction devices had been quite buggy that time and were still attached to cables for the magnetic tracking. 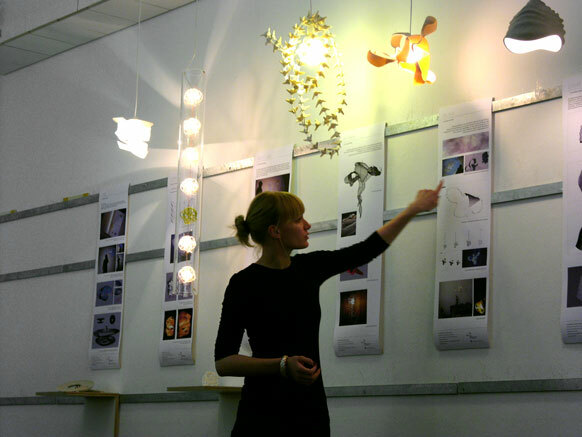 For one day the students were invited to come to the virtual reality lab at the Fraunhofer Institute to first take part in a few user interface tests and then sketch out their lamp designs. In the following weeks they reworked the mesh and VRML files towards serious or playful approaches on lighting design and reviewed their results in the CAVE again. In the following weeks we 3d printed the designs in various techniques, from FDM to SLS and plaster printing and gave little presentation at the design department on it. 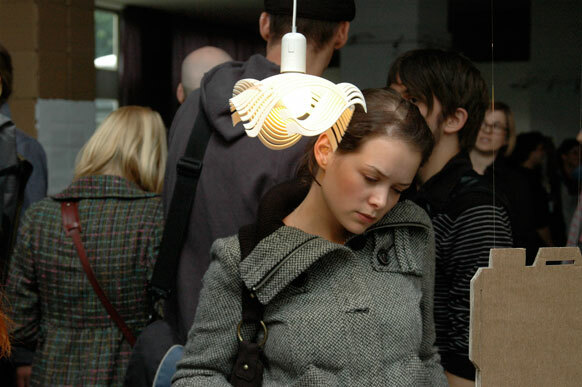 Beside the participating students a lot of people liked the project that much, that they decided to exhibit the lamps. First they were shown during the DMY festival 2009 in Berlin at the Designtransfer gallery and in 2011 during the VisWeek in Providence Rhode Island.